A before breakfast discussion with Tee McDonald led to this wonderfully eclectic mix of fiddle music. 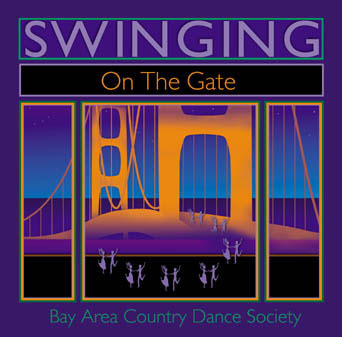 Originally conceived as a showcase for the contra dance bands of BACDS, it now provides a tantalizing glimpse into the beautiful music of English country dance as well. Both styles touch my heart, along with the musicians who play them, and I am deeply grateful to BACDS for supporting this wonderful community. Produced with the financial assistance of the May Gadd/Phil Merrill Endowment Fund of the Country Dance and Song Society. Recorded and engineered at Muscle Tone Studios, Berkeley, CA. Special thanks to Nick Cuccia, Alan Winston, Tee McDonald, Howard Booster, Craig Johnson, and Charlie Hancock.